Derrick Rose is arguably one of the best athletes of this time with countless awards at such a young age. He entered the league in 2008-09 season and won Rookie of the Year. Two years later, he had an All-Star season and won the 2010-11 MVP award. The following season, he lead the 2011-12 Chicago Bulls to the best record in East Conference, but tore his ACL in the first playoff game against the Sixers. (The Sixers ended up winning the series 4-2) Rose had surgery on his knee on May 12, 2012 but has yet to play game since the injury. His return to the NBA will probably be one of the most highly anticipated events in sports. I expect him to have an Adrian Peterson Comeback Season. Most upcoming young athletes, like Rose, are starting to be defined as brands. Although this is looked as a selfish criticism that takes away from the pureness of the team sport, it has given some athletes an empire to build on past their prime of playing sports. I'm not going to get into the dollars of the matter, but in fact look at the actual visual branding. One of my favorite things is athlete's personal brand logos. Below are some of my all time favorites. Now I realize that MJ has the best athlete branding of all time, but it's hard not to argue that D.Rose has a pretty good one. 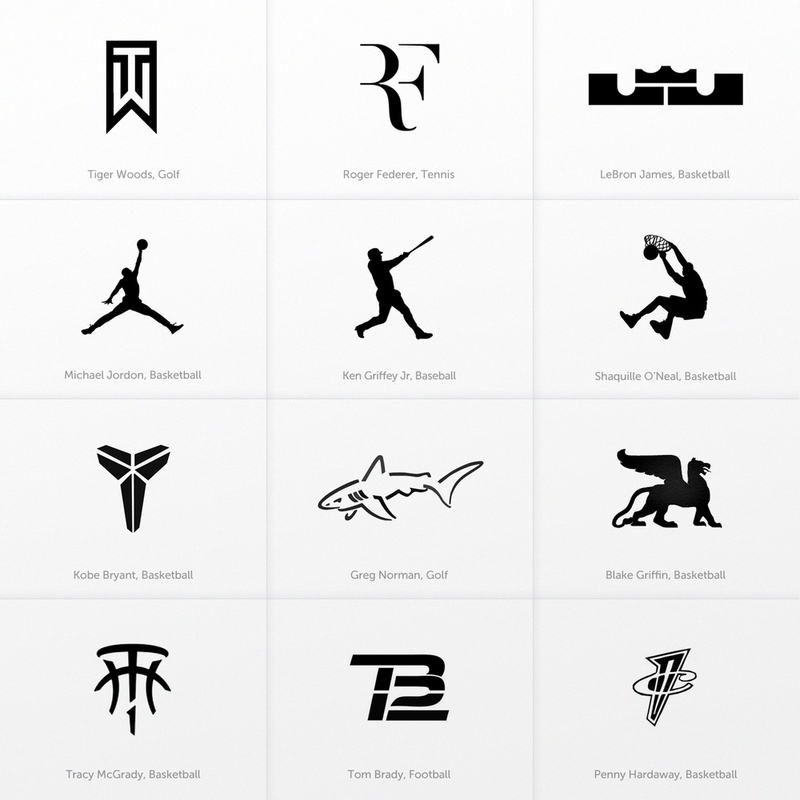 The Derrick Rose logo was created by Quentin Brehler. - It had a rose shape to symbolize his last name. But it's not a sissy, girly rose. It's conveys speed and movement and reminds me a lot like a hurricane. - The negative space creates a dominate "D" so symbolize his first initial. This grounds the rose shape from becoming too swirly in shape. - The negative space within the letter "D" has a subtle number 1 in it to reference his number. After doing some research to find out who designed this logo, I found out some more info about the design.